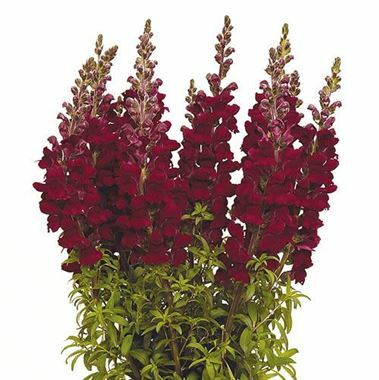 Anitrirrhinums Potomac Red (Snapdragons) 80cm tall & wholesaled in wraps of 10 stems. The Greek translation for this cut flower is 'like a nose'. Antirrhinums, (otherwise known as Snap Dragons), were originally thought to be a genus of the Scrophulariaceae family, but DNA studies have led antirrhinums to be included in the Plantaginceae family.